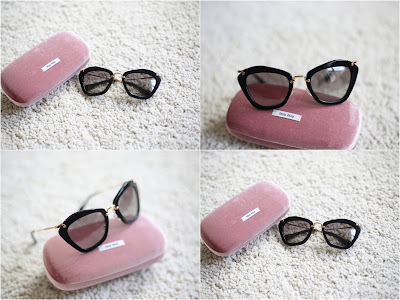 The most polupular model from MiuMiu this year, these sunglasses was bought n February but I got the same model in thee different colours so selling one off now. Used one time, no traces, comes with box etc. Click on the picture to enlarge it! Price: 1500SEK or 170Euro (new 3 month back 2800SEK) and I'll stand for the shipping world wide.